Item # 310686 Stash Points: 2,495 (?) This is the number of points you get in The Zumiez Stash for purchasing this item. Stash points are redeemable for exclusive rewards only available to Zumiez Stash members. To redeem your points check out the rewards catalog on thestash.zumiez.com. 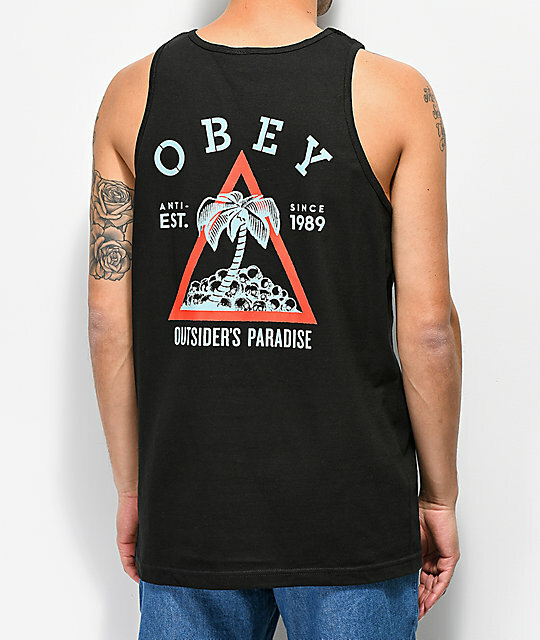 Get a vibrant splash of branded logo color with the Obey Outsiders Paradise Black Tank Top. 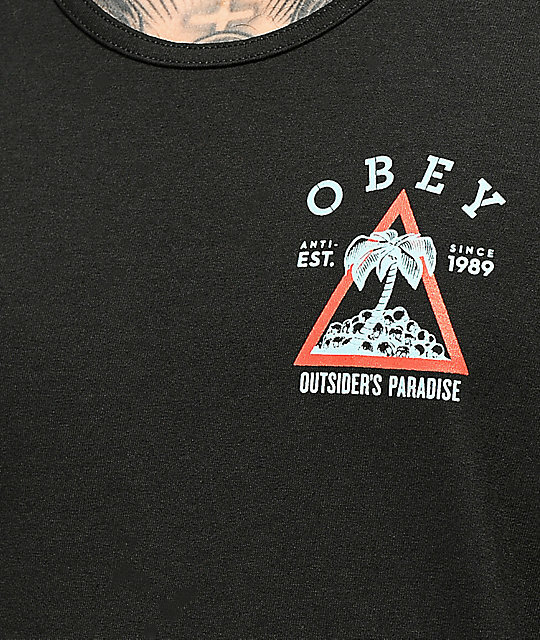 This 100% cotton and all black tank is highlighted by brightly colored Obey logos at the left chest and back, which incorporate the image of a palm tree sprouting from skulls and text that reads "outsiders paradise." 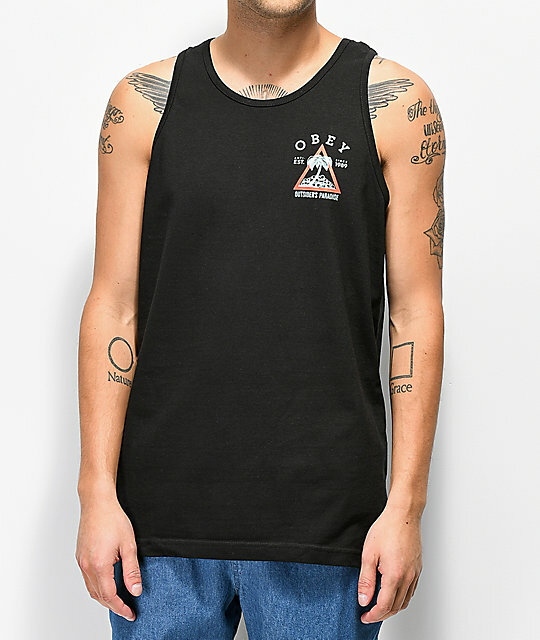 Outsiders Paradise Black Tank Top from Obey. Obey logo screen printed on left chest & back.